Congratulations! You know the drill. Send an email to us (contact AT the book smugglers DOT com) with your snail mail address, and we’ll get your books out to you as soon as possible. Thanks to everyone that entered! We are totally forgetful slobs – we forgot last week to announce that fellow blogger and aspiring author Rhiannon Hart has HUGE news! She has just signed with big agent Ginger Clark of Curtis Brown in NYC, who has a specialty in sci-fi/fantasy/PNR. We are so freaking excited for Rhiannon and hope her YA manuscript and series gets picked up soon by a big publishing house! Check out her post for more info. In other news, you may have noticed that Technorati recently changed the way they calculate blog rankings. They’ve also given the site a huge facelift, allowing for “Top 100” subcategories…AND we are proud (and somewhat mystified) to announce that The Book Smugglers has made TWO top 100 lists! In the “Entertainment Blogs” category and in the “Book Blogs” category. Yes, it’s probably a miscalculation, but we are STOKED nonetheless! We were going to list the top 10 list of Book Blogs, according to Technorati v2.0 but it keeps changing daily. Two days ago, we were #6, yesterday we were #3, today we are down to #4. The question we really want to ask is: how in the world are we on the top 10 and say…Neil Gaiman’s blog is aaaaaaaaaaaaall the way down to 200s? NOT POSSIBLE. But for now, we just celebrate! Also, we’ve just learned of the awesome Nerds Heart YA 2009 Tournament! 1. Young Adult fiction, we’re not called Nerds Hearts YA for nothing! 3. If it’s already received a lot of blog coverage, there’s a good chance it’s outside our scope, but toss it on anyway if you’re unsure. In order to enter your nominations, go forth to Renay’s blog, and leave a comment after this post. Finally, you can keep track of the tournament by following the official Twitter Account. Patrick Rothfuss, the author of The Name of the Wind (aka Ana’ favourite book read in 2009) has something really cool brewing at his blog. You can get your name in book two, The Wise Man’s Fear…. by taking part in a raffle to raise money for Heifer International. You can read all about it here. It’s another crazy week! On Monday, Ana and Katie of Babbling About Books and More! do a powerpuff review of Young Adult Romance novel, Perfect Chemistry by Simone Elkeles. 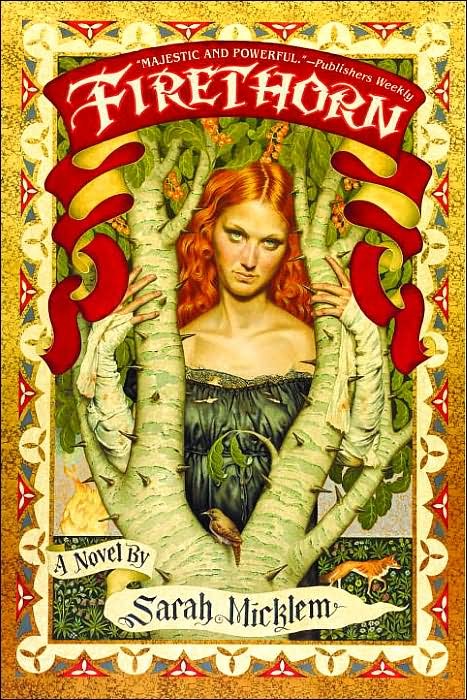 On Tuesday, Thea reviews fantasy novel Firethorn by Sarah Micklem. 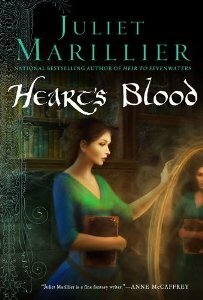 Wednesday, Thea reviews Heart’s Blood by Juliet Marillier, one of her most highly anticipated books of the year! We’ll also have a giveaway of the novel, so make sure to tune in! On Thursday, it’s another installment of our What She Said feature! 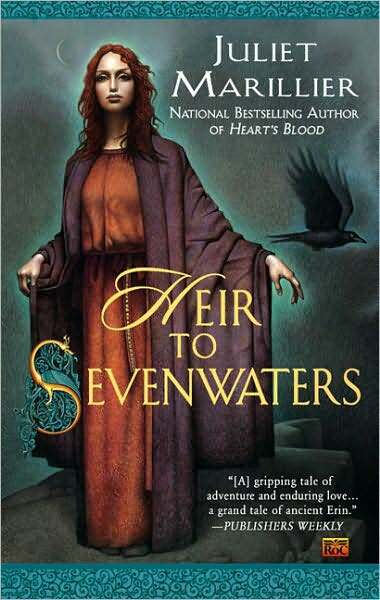 This time, Ana takes on Heir to Sevenwaters by Juliet Marillier (one of Thea’s Top 10 Reads of 2008), and Thea FINALLY gets to read The Name of the Wind by Patrick Rothfuss (one of Ana’s favorite books of 2009)! And finally, on Friday we have Kati Dancy of Katidom over for our October installment of the Guest Dare! 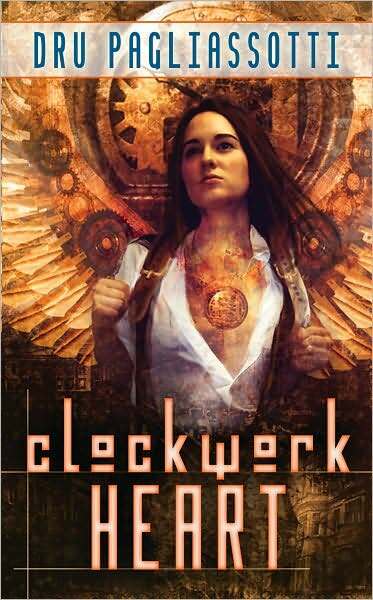 Kati will review Clockwork Heart by Dru Pagliassoti. 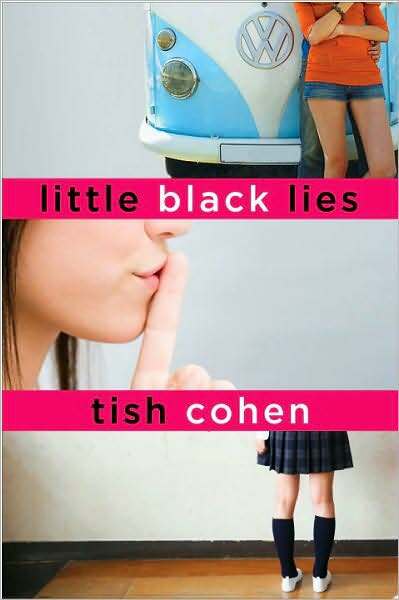 Also on Friday, Ana reviews Little Black Lies by Tish Cohen. Thanks so much! I am thrilled to have won the contest. 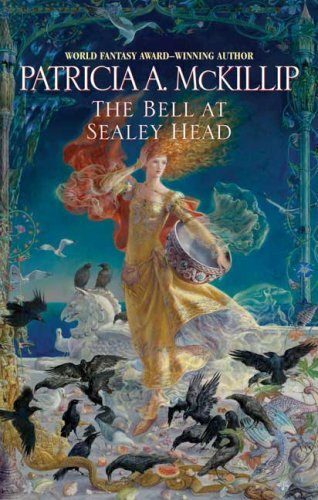 Can’t wait to read The Bell of Sealey Head. 🙂 Now I am off to email ya’ll my information! Aw, thanks for the mention!! 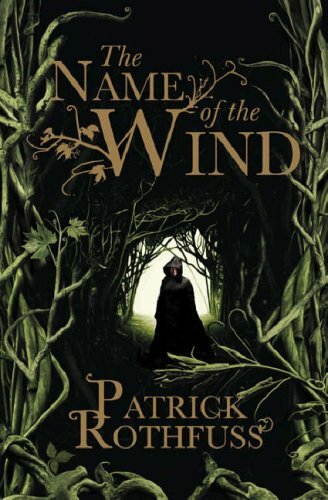 I just bought The Name of the Wind and can’t wait to get to it. The first page is just so tantalizing! I’m eager to see what you think of Little Black Lies! I got chucked an ARC and have to admit I walked away less than impressed, but would love to read your take on it. 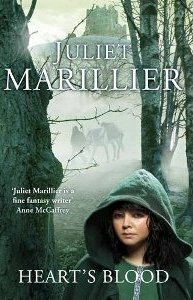 Can’t wait for your review of Juliet Marillier’s book, she’s an awesome writer! also, i’ve been told by a good friend that Perfect Chemistry is “really good” so it’s on my list to read this week too…that’s the 1st time we match,lol!